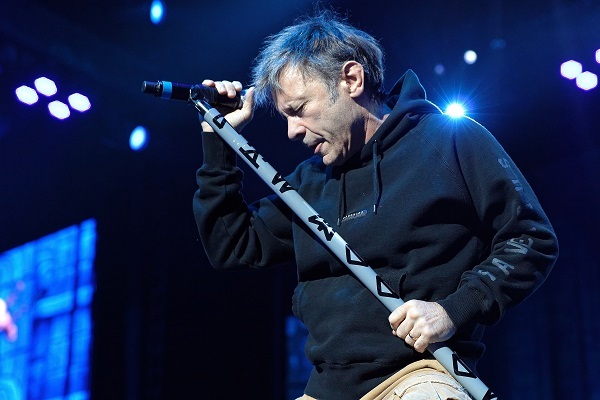 There’s no denying that Bruce Dickinson of Iron Maiden has pristine vocals and one of the best set of pipes in metal. So, how does he keep his vocal cords healthy, year after year? Speaking with the “Do You Know Jack?” radio show and host Jack Antonio, Dickinson explained that while he doesn’t do anything specific, he does take special care of his pipes when it’s the gigging season. Dickinson’s book — “What Does This Button Do?” — arrived in the U.S. in October via Dey Street Books, an imprint of HarperCollins Publishers.